Affordable Criminal Lawyer in Toronto Courts, Markham, Aurora, Stouffville, Barrie Court, Sudbury, Brampton Court, Milton, Burlington, Oakville, Mississauga, Newmarket Court, Scarborough, Pickering, Oshawa Court, Ajax, Whitby, Hamilton and all over Ontario. Finding the right Criminal Lawyer for your case can be hard work. Michael McKee has been practicing all types criminal law for over 25 years. You can rely on his years of experience when you need a Lawyer who can represent you in court, fight for your rights and a winning track that you can leverage. Criminal Convictions Will Ruin Your Life even if you are innocent. Without good Lawyer advice you may ruin your life and an appeal is a lengthy and expensive process that you should avoid. Get the right advice the first time. To avoid Severe Consequences you must seek counsel quickly. The quicker you speak to a qualified Criminal Attorney the better you chance for a more favorable outcome. The involvement of a savvy Criminal Lawyer who knows exactly what to do and how to do it fast greatly enhances the chance that your matter is presented to the courts in the best light possible. Long term consequences of Criminal Record? A criminal record can impact your job, travel, child custody and every other aspect of your life. You need a lawyer who has a proven track record of success and who has experience practicing one specific type of law. You need a lawyer who is a Expert in Criminal Law Defense. Have you been accused of fraud workplace theft or shoplifting? Experience always counts in Criminal Court. With over 25 years of court room battles behind him Michael McKee has the background and knowledge of how the courts and laws operate. This experience is one of the main reasons Michael is respected by clients, other lawyers and prosecutors. Are you seeking advice from a successful experienced criminal lawyer who has affordable rates and “not in it for the money” and is looking out for your best interest? Modest rates and Legal Aid accepted however great criminal defense is always achieved. 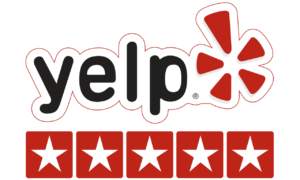 When searching the internet and reading reviews its understandable if you are googling for a cheap lawyer out of desperate circumstances when your life is in the balance. Michael McKee will be able to help you. Many hardworking people live from pay cheque to pay cheque and may not have the budget to pay for an expensive criminal lawyer. We understand the limitations of everyday people. Even if budget is not the major concern you can rest assured we will always be upfront of the cost of achieving the best possible results for all our clients. We offer convenient payment terms that allow anyone to mount a appropriate defense to criminal allegations. Fact is advice from a Lawyer is ALWAYS the BEST way to AVOID jail time or criminal record. Attempting to resolve allegations and charges alone without a attorney can result in criminal convictions and harsher sentences. Do not take a risk with your future or case. Avoid this mistake and always seek advice from Ontario area lawyer after you have done your research and feel comfortable with the results. Google search engine is a great place to find some of the top lawyers in the Toronto Area quickly and easily. The Crown Attourneys and Police are employed to prosecute you. 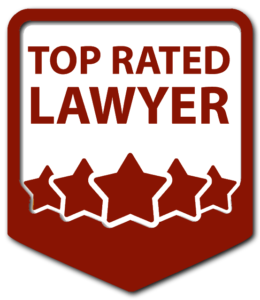 Michael McKee has created a team of sharp lawyers who work directly with him and his goal is to offer the most expert legal support at the most affordable rates in Ontario. 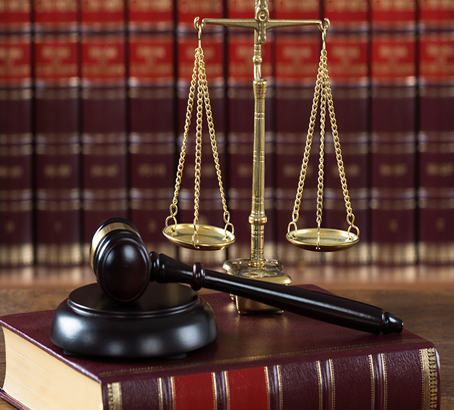 We provide assistance to those who are seeking legal representation and a fair day in court. You may qualify for Legal Aid in Ontario. If you have a certificate or are applying for Legal Aid contact Mr. McKee today and we can accept Legal Aid for most criminal law matters in Ontario courts. Our goal is to resolve you matter as quickly as possible, so you can return to your normal life. Feeling anxious about your charges and need help now? Call and speak with the office of Michael McKee. Intake officers on duty 24/7 to answer your phone calls. We are here to listen to your side of the story and will take the time to hear what you need to say. We understand the stress and anxiety you are feeling dealing with the Police and Court system. Once you have spoken with our office you will feel less anxious, paranoid and have an increased positive outlook because we will explain exactly what to expect and how to avoid severe consequences like jail time and a criminal record. Criminal allegations can take a toll on mental health and increase depression. We are here to provide guidance and respond to emergencies 24 hours a day and 7 days a week because problems with the law can happen at any time. Defending clients successfully against false allegations and mistakes with expertise you can count on. At Lawyer Plug, we provide each client with a solid defence. Our legal team has over 25 years of practice working as criminal defence lawyers in the Toronto area. We have worked with local prosecutors and can create a solid defence against their case. Even if your case goes before the Supreme Court of Canada in Ottawa, you can trust the attorneys at Lawyer plug to represent you. We support our clients all the way to resolution and they rely on us to have all the answers. From Pre-Trial to Post-Trial, our legal team can help you navigate the various and often complex nuances of the legal system. We’ve successfully represented clients accused of everything from driving under the influence to assault, murder or numerous other crimes. Trust a lawyer with over 25 years practicing criminal law in court rooms across Ontario to afford you with the best chance when facing the criminal system. Police and Crown Attorneys in Ontario are some of the best and in order to have a chance to avoid conviction you need a lawyer who understands how the system works and ensures you have a fair day in Court. We are in Courts everyday defending everyday people with respect and integrity. You need a lawyer you can trust with a track record of integrity. Do your due diligence and work with a lawyer that’s going to take care of your needs first and foremost. 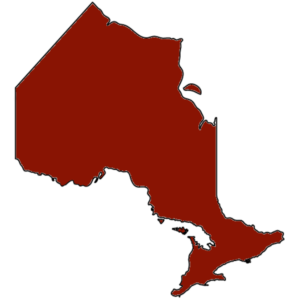 Always take the time to check affordable criminal lawyers list in Toronto area who are also experts in Ontario. Reliable Expert Criminal Lawyers are hard to find. 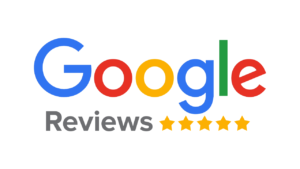 We encourage you to take a look at our reviews on Google, lawyer ratings and elsewhere. We pride on ourselves with an excellent track record and our only goal is your success. Michael McKee is always in the courts and you can ask any criminal lawyer with experience and they will confirm that Richmond Hill Affordable Criminal Lawyer Plug is top level when it comes to favorable results for clients. We work diligently for our clients and never give up on your defence so do never loose hope. Our experience and results speak for themselves and we invite you to contact us with any questions. Lets get to work. Expert Affordable Criminal Lawyer’s In Richmond Hill, Brampton, Mississauga, Newmarket, Markham and Beyond. An accusation of criminal activity can turn your whole world upside-down. During this time, you may feel humiliated, terrified, and unsure of your future, so you need to find quality representation. Whether the accusation refers to a traffic citation or even murder, the right defence can save you from years in prison and costly financial hardship. Only talk to your Lawyer about charges and police allegations. Its not always easy to discuss the particulars of your case with family and friends. It may not be the most smart thing to do either. Any conversation you have with anyone aside from your lawyer can be used against you in the Court of Law. Do not share details with family or friends. A Judge may force friends or family member to appear in court by order and disclose any conversations that you thought occurred in privacy. If they do not tell the truth under Oath they face criminal charges. Do not create dangerous predicaments for yourself and others and disclose details before speaking with attorney. All conversations with your Lawyer remain protected under the Criminal Code and Canadian Law and can not be disclosed to anyone. Our job is to protect your interest only. Hire a lawyer that you can trust and who knows how to win in court. If you are seeking no cost advice of experienced Affordable Criminal Lawyers who have focused on Criminal Law for over 25 years then Michael McKee and Lawyer Plug team is available to discuss your matter. Contact his office today and rest assured that we will take every step possible to ensure that we protect you from a criminal record and to deal with any issues that can lead you to be in the custody of the Police and or avoid a potential long Jail sentence. All types of Criminal Allegations Defended. 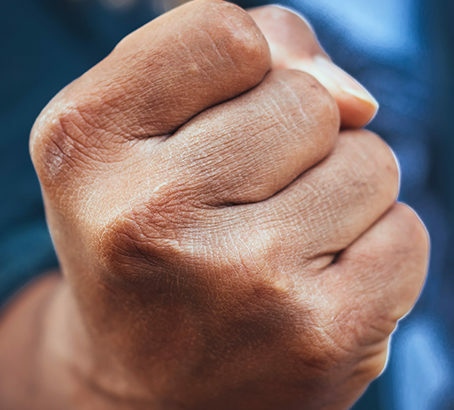 We are also available to defend you with all serious and minor criminal matters, but we do have a focus working with young adults who are facing serious allegations. Michael McKee understands that a criminal record can devastate the future of a youth and offers parents and guardians an opportunity to speak with him and help their children. No matter the allegations against you we will not judge your character. Michel has many defended many different types of clients over his 25 years practicing law in Ontario. His clients range from all walks of life and range from corporate to every day people. So do not make any assumptions. We are sure Michael McKee can help you regardless of where you are from or what you are accused of. Anyone can make can make a mistake. We are not here to judge but only help you get a fair chance when you appear before a Judge in court. Is a loved one in Jail and you need help now? If a loved one is in police custody and you require a lawyer to attend for Bail Court, we are available by phone 24/7 to arrange attendance next day or whenever necessary. Bail is very serious so do not take a risk. Talk to a Lawyer by clicking here. Bail is a very serious matter and should be handled by an experienced Criminal Lawyer. If a bail is denied the accused may have to spend additional time in police custody. This time can vary but can range 30 to 60 days before an Appeal for the denial of bail can be arranged if grounds can be found. Michael McKee has the experience you can count on to defend you in court and offer you the best chance of success. If you need a expert criminal defence lawyer in Richmond Hill and the surrounding areas, contact Michael McKee. Call (24hrs) 647-490-7660 to Request Initial Consultation at no cost. We have a passion for Criminal Law Defence and we go to all lengths for our clients success. Your case and future is in good hands. At Lawyer Plug, we provide each client with a solid defence. Our legal team has over 25 years of combined practice working as criminal defence lawyers in the area. Affordable Criminal Lawyer and Legal Aid Lawyer with 25 years experience with the following types of charges Impaired Driving DWI DUI, Theft Under $5000, All Internet related charges, Sharing Images, Cannabis, Theft Over $5000, Failure to Comply with Order, Common assault, Breach of probation, Major Assault, Uttering Threats, Drug Possession, Mischief, Fraud, Attempted Murder, Sexual Assault, Robbery and Aggravated Assault, Breaking and Entering, Theft of a Motor Vehicle, Mischief, Gun Possession, Weapon Possession and All Domestic Assault type cases. If your charge is not listed here call our office directly and we will handle your matter with the utmost privacy. We do not list all the charges that Michael McKee has experience due to googles policy of certain keywords. Do you need help now and have questions for a Criminal Lawyer?